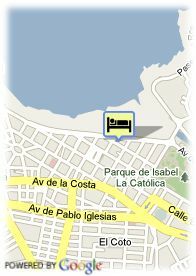 Manso, 2, 33203 Gijon, Spanje. 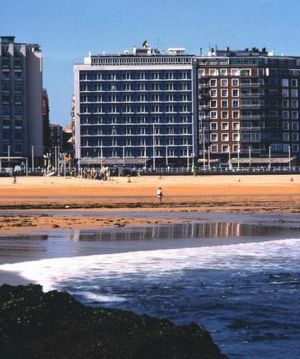 Principe De Asturias is an emblematic hotel located in the center of the San Lorenzo beach, close to the city old town and the Congress Palace. Turned into a modern hotel center, the hotel combines open and cheerful atmosphere of the region with the comfort, equipments and the tranquility needed by the company tourism. The hotel offers 72 comfortable and large rooms equipped with up-to-date technology of comfort such as, satellite dish TV, telephone, mini bar and Bathroom with full facilities. It also disposes of 850 5 lounges in order to hold conventions, congresses, courses of instruction or company reunions. Among other facilities, the hotel also has a Business Center equipped with the best technical and human equipment and elegant social lounges decorated in order to create an atmosphere of reading, literary gathering or to take a break. Diners Club, Mastercard, American Express, JCB. Hotel Robledo is gelegen in het centrum. Het ligt dichtbij het strand, de jachthaven en de oude stad.